Opportunity to invest in low priced entry level business that requires no previous experience to operate. 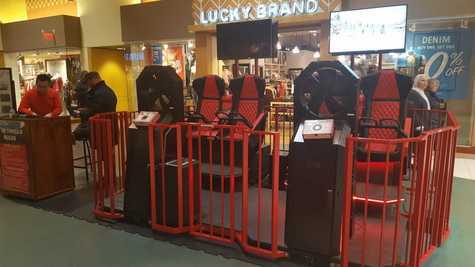 This business is situated in a very busy shopping mall that enjoys thousands of visitors each week and offers it’s clients the latest in family fun entertainment. Building Size: 300 sq. ft. Adjusted net income: Net Income $ 42,000. The business includes 4 sports seats, 4 High Definition TVs, 50 Thrill rides to chose from and offers owners a very low maintenance business. Rides range from 3- 5 minutes charging $8.00/ride/person. If you have been searching for an easy entry-level cutting-edge business to own and operate then you should look at this business.